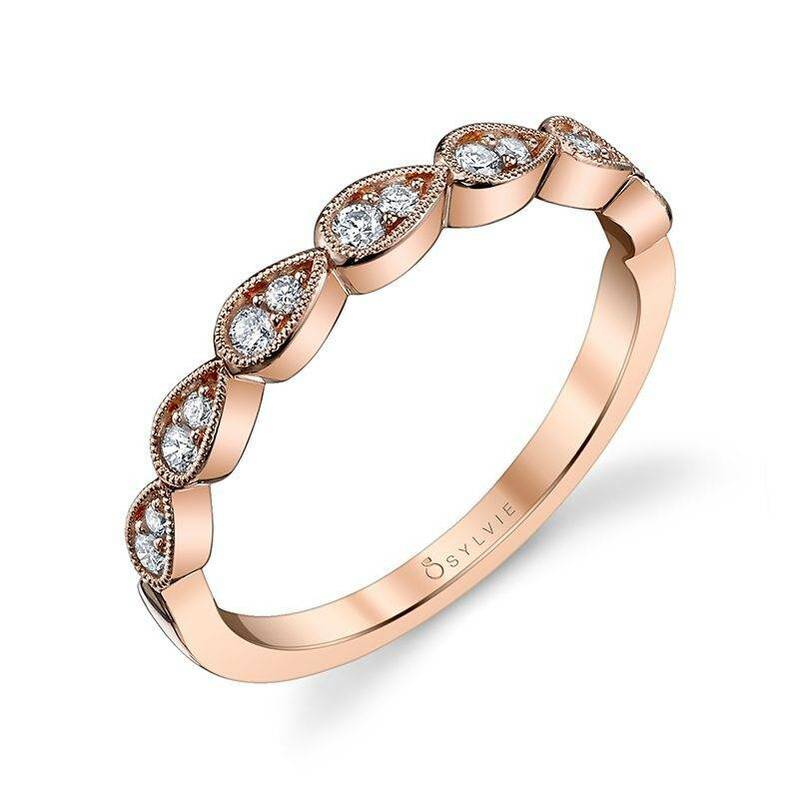 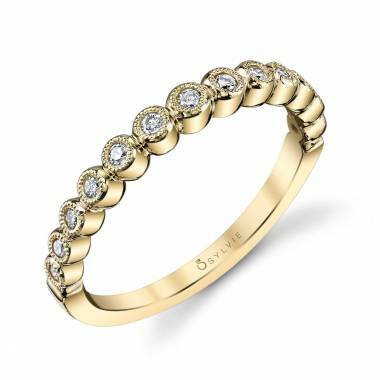 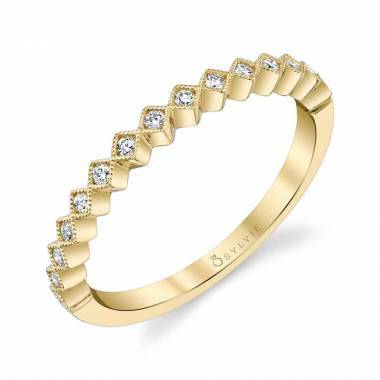 Personalize your wedding set style with this unique and vintage inspired stackable wedding band in yellow gold featuring tear drop shaped frames with milgrain accents encircling two different sizes of shimmering round brilliant diamonds. 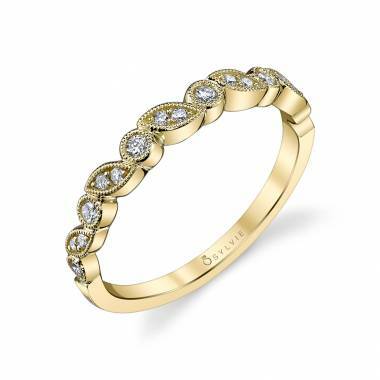 For a fashion forward look, try stacking this appealing gold wedding band with other rings of different shapes, metals, and stones. The total weight is 0.19 carats.